Because IPL uses a much broader spectrum of light than laser, it is able to deliver a wider range of aesthetic treatments and treat a broader range of hair colours and skin type. When operating the IPL machine’s hair removal function, the device emits light at specific wavelengths which are absorbed by the pigment located in the hair follicle (pigment gives hair its colour). 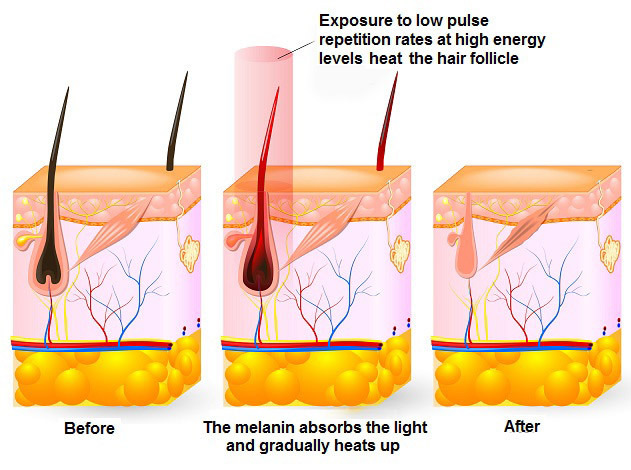 When the pigment in the hair follicle absorbs the IPL light, energy is converted into heat, resulting in thermal damage to the hair follicle. This thermal damage causes delayed regrowth of the hair or complete permanent destruction of the hair follicle. Treating acne with IPL technology is designed to specifically slow the overall production of oil that leads to acne, thus dramatically reducing the chance of blemishes while minimising the appearance of enlarged pores. With IPL being a quick and comfortable aesthetic service, it has quickly become a popular and long term alternative to traditional hair removal methods. An IPL machine exudes value because of the sheer variety of services available from one machine. 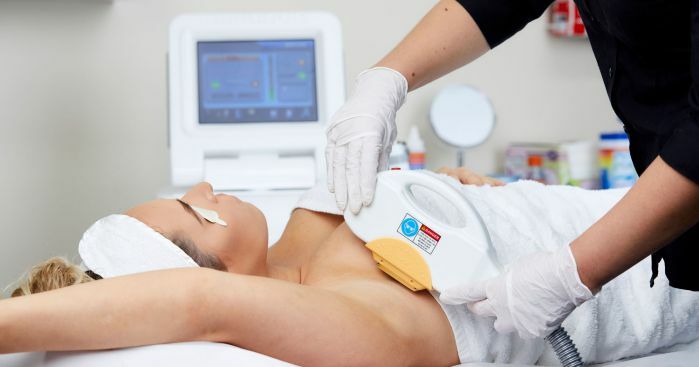 Not only can you offer clients hair removal options but you can also address skin and in some cases, body concerns with one stand-alone machine. You can also welcome a larger variety of clients into your business and begin to position your business as a specialist in IPL technology. One customer may be interested in permanent hair removal while another customer may want to remove pigmentation or vascular conditions. Either way, the versatility of an IPL machine allows you to meet the demand of a greater number of potential clients walking through your door seeking help for their hair and skin concerns. If you choose not to invest in an IPL machine, it can become more and more difficult to maintain high levels of customer retention and remain a current, on-trend business. Many customers are now choosing to spend their money on treatments that offer immediate and long term permanent results like IPL instead of the usual traditional beauty treatments therefore, it’s important that business owners stay on top of trends in order to prosper in today’s beauty environment. Our passionate trainers will ensure that you are confident in the theory behind IPL technology and practical application is mastered so you can begin conducting your new IPL treatments with sound knowledge and educated confidence from the get go. Training is conducted at our Melbourne training centre and a Travel Assistance Rebate is supplied for interstate customers.